Last night my friend Denise took me to a bread baking class at The Pantry at Delancey. Delancey is a restaurant in Seattle's Ballard neighborhood that is owned by Brandon Pettit and his wife, Molly Wizenberg. 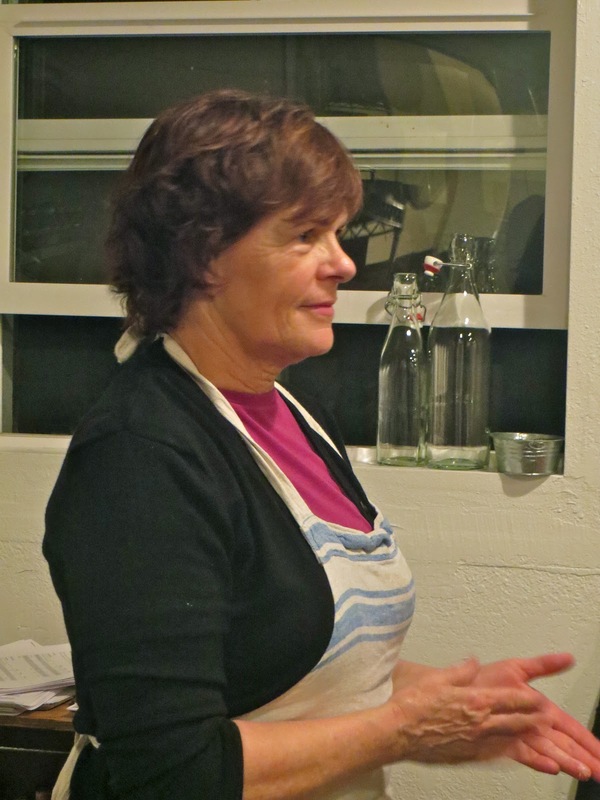 Molly wrote one of my favorite books, A Homemade Life: Stories and Recipes from My Kitchen Table, and she has a wonderful blog, Orangette (and a new little one which has slowed down her posting, understandably but alas). Chef Jennifer Altman was the instructor of this wonderful class, and let me tell you, that woman can bake! 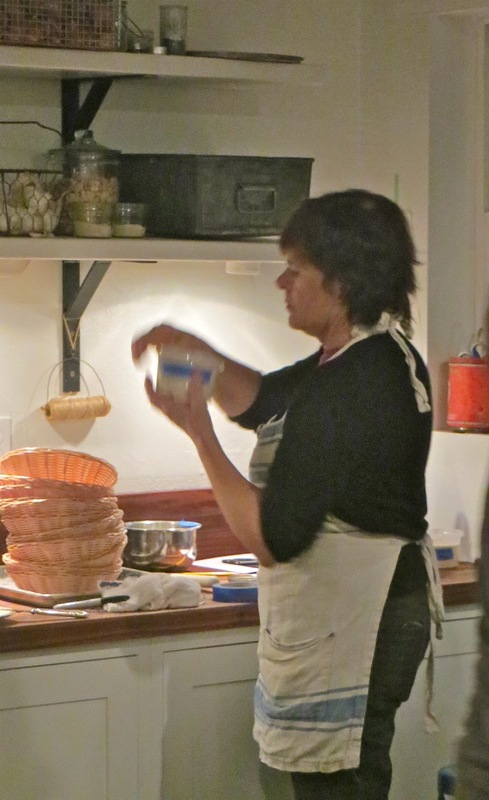 She is a great teacher, and not just because she has the knowledge and experience of the pastry chef she is, but because her passion for artisan bread comes bubbling up out of her and infects everyone in the room with her enthusiasm and love of bread. In my opinion, that is what makes a truly, seriously good teacher. 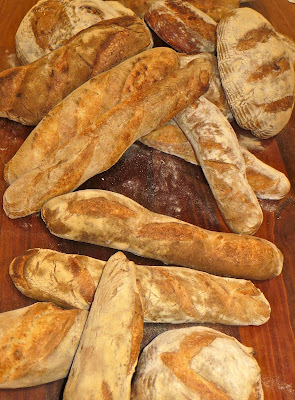 Chef taught us to make levain and poolish and then we made baguettes and Pan de Campagne. To say that the loaves were good is an understatement of gigantic proportions. 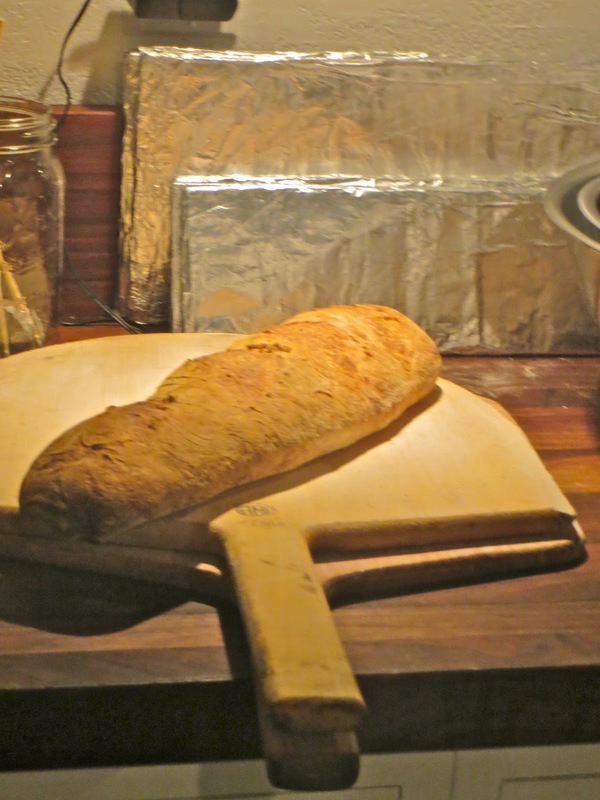 This bread was the stuff of dreams. The crust! The aroma! And OMG, THE TASTE. Thank you, Chef Altman. Thank you, Denise! Thank you to all at The Pantry. It was one of the most delicious and entertaining classes I have ever taken. 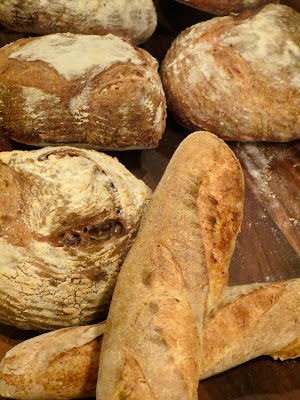 Now, I want to go make some bread. Pan de Campagne with toasted walnuts, to be precise!